“I submit to my husband. I make my husband’s food. I take care of the household. I understand my role as a wife and a mother,” she told Sister 2 Sister. Heavenly’s professional colleague Dr. Simone Whitmore expressed her surprise when Heavenly addressed her husband as “daddy.” Simone joked that she’d only heard a woman use that term to describe her pimp…in the movie Hustle & Flow. 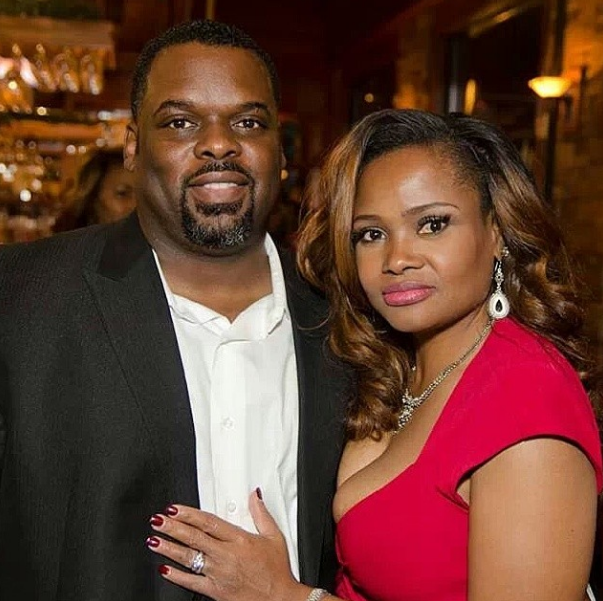 While some may consider her traditional beliefs on marriage antiquated, Heavenly said she thinks it’s good for viewers to see how she and her hubby relate to one another. “Black women need to see a woman who takes care of a household, who’s married with children and that’s not seen a whole lot,” said Heavenly who thinks she and her “Married to Medicine” co-stars are offering a positive portrayal of a demographic that’s often depicted negatively. Though they’re all educated, professional women, they still have buttons that can be pushed. Although she’s new to the cast, Heavenly already bumped heads with Dr. Jackie Walters who lectured a full-figured pageant queen about her weight. “I think that Dr. Jackie is not a happy person. I’m not understanding why she has to belittle people that she does not know,” Heavenly wrote in her most recent BravoTV.com blog. “It did not come from a good place,” she said of Jackie’s concern for the plus-sized beauty. Heavenly said she was surprised by how differently she and her cast members see life, but she thinks they’ll be able to resolve conflicts without resorting to violence, like co-stars Mariah Huq and Toya Bush Harris did in Season 1.